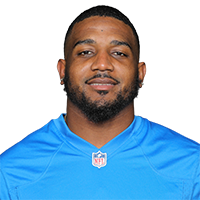 Published: Dec. 2, 2018 at 02:01 p.m.
Detroit Lions cornerback Quandre Diggs picks off Los Angeles Rams quarterback Jared Goff's deep pass. Published: Sept. 11, 2018 at 01:44 a.m. Published: Dec. 31, 2017 at 01:22 p.m. Published: Dec. 24, 2017 at 02:02 p.m.
Detroit Lions defensive back Quandre Diggs intercepts a wide open pass from Bengals QB Andy Dalton.